Do you remember mixing primary colors (red, yellow and blue) to make secondary colors (orange, green and purple) in middle school art class? It turns out that your art teacher really was preparing you for success in the business world because color doesn’t just make art projects more interesting, it impacts the effectiveness of all areas of business on a subliminal level, especially those around marketing and advertising. When you scroll through social media feeds, what tends to catch your eye? When you’re reading a blog post or on a website, have you ever stopped to notice the color of the buttons being used? Refer to a color wheel to identify analogous colors. Use a color wheel to identify complementary colors. Focus on monochromatic colors in the same hue. Use a triadic color scheme to create high contrast. Create a split complementary color scheme. Think beyond presets but start with just one color. 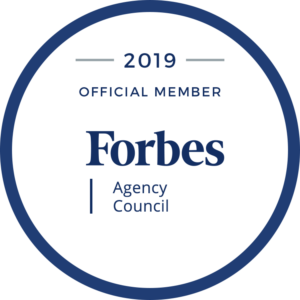 They also recommended tools like Adobe Color, Illustrator Color Guide and Preset Color Guides as some of the best out of the box tools for marketers looking to make a positive impact with color in their ad executions. 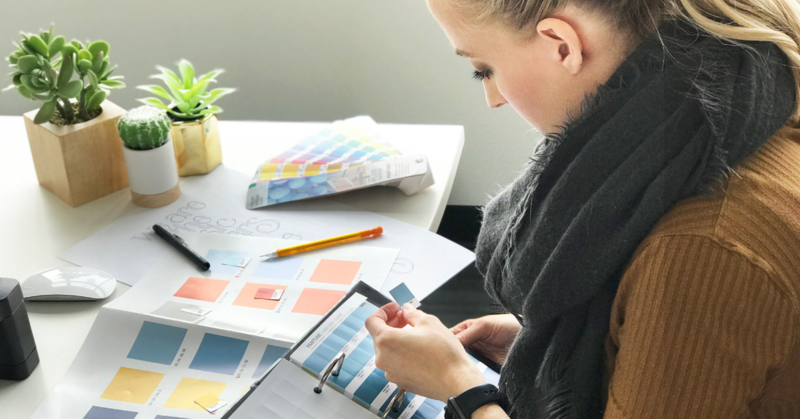 After reading the post, we were inspired to discuss color theory and color schemes with OBI Creative Director/Design, Erica Rowe. Here are highlights from our conversation! What executions of color or color schemes are you appreciating right now that you’re seeing designers use either here at OBI or out in the wider marketing world? Erica: “Brighter, more saturated colors feel more in right now. It’s not a full tilt toward the neon of the 80s, but it is more pronounced. For a while, the trend was to use subdued or muted colors because the 80s were so bright and colorful. Today, readability matters even more than it did before. Everyone used to want a black background with white copy because it looked cool, but then we all realized how hard that was to read and so now we’re seeing a lot of white with pops of color. How do you decide which color scheme is right for a client? Erica: “You need to start with an analysis of your competitor set. What colors are they using? Then, choose something that will differentiate you from your competitors. From there, you want to match your color to your tone. What kind of impact does color make on the effectiveness or overall feel of a website? Erica: “Color is a good way to provide an updated look. Some colors are overused and dated, so simply changing them or adding a fresh accent color can revive a website and make it feel new. What do you think is more important — color or typography? What questions do you have about color that our insightful professionals can answer? Leave a comment and let us know! While both marketing automation and online video have been around for a while, few businesses have managed to effectively integrate the two. This free guide walks you through how to effectively utilize video content with marketing automation.